Pourover! It's how I brew at home, and it's my go to at shops as well. When did you first start drinking coffee? I first started regularly drinking coffee my freshman year of college. I hated it initially, but I was determined to like it, so I forced it down until I actually discovered good coffee. 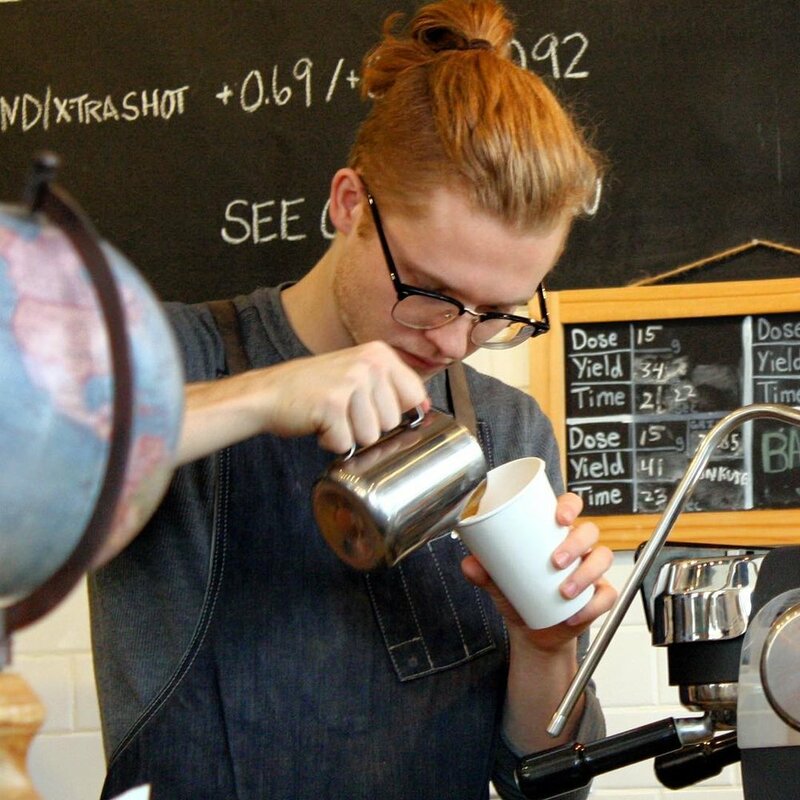 What do you love about working in specialty coffee? There are endless small things I love about this kind of work, one of the first and foremost being that it rarely feels like work. The ability to share my passion for coffee with others and to try and build a community through that is an incredible opportunity for which I'll always be grateful. Alongside of that, I love being able to regularly try new coffees and to grow alongside a wonderful team of people. What's one goal you're working toward that you're really excited about? In coffee: developing my latte art! Outside of coffee: moving toward my first v7 in bouldering.